It’s hard to talk about wakeskating events and not mention the Toe Jam. FIfteen years ago, Scott Byerly and his crew set the bar for what a wakeskating event could be, encompassing all aspects of the sport, and evolving every year to keep up with the explosive progression of riding. The winch event on the final night, along with the introduction of the System 2.0 cable from Sesitec, eventually gave way to an entirely new style of events based off of the “plaza style” set-ups originally pioneered by the Toe Jam. 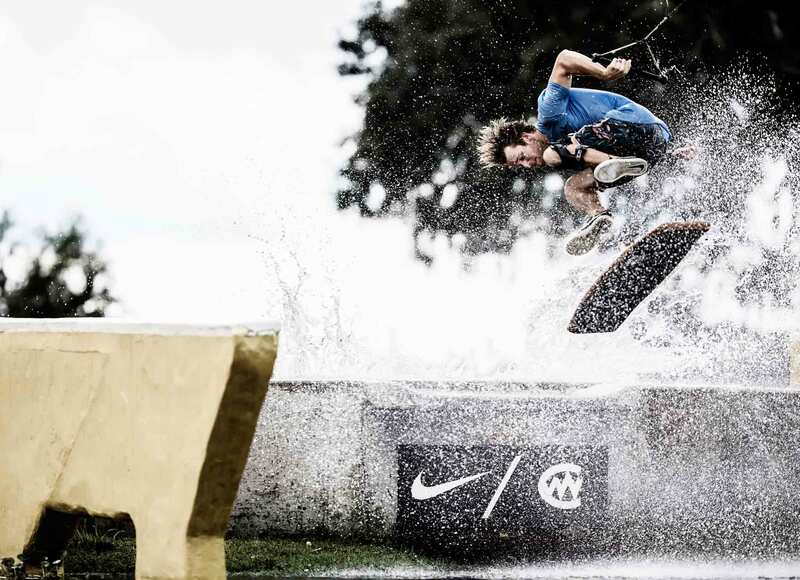 The Wakeskate Tour was a direct result of a generation of riders who had been influenced and inspired by the groundwork laid at the Toe Jam events. With Silas Thurman and Ryan Dahlem leading the charge, Ben Horan, Nick Taylor, and Reed Hansen each took the event set-ups to the next level by building unique, highly-shreddable, permanent features on their respective properties, and proceeded to send out an open invite to their fellow wakeskaters. The Tour stops have always been more of a family reunion than a heated competition, but one of the great things about being a part of such a niche activity is the way the riders feed off of the community vibe. Rather than hoping for the other guys to fall, everyone builds on each other’s energy, making for one of the most unique competition settings you will ever find. It’s this family vibe that brings riders and fans back, each year to partake in another weekend of wakeskating, skateboarding, and trying to keep your coolers secure from the beverage bandits in tent city. This year’s “Horseshoes & Hand Grenades” event was one of the best in tour history, and with new tricks landed and new friends made, the anticipation is already building for next year. 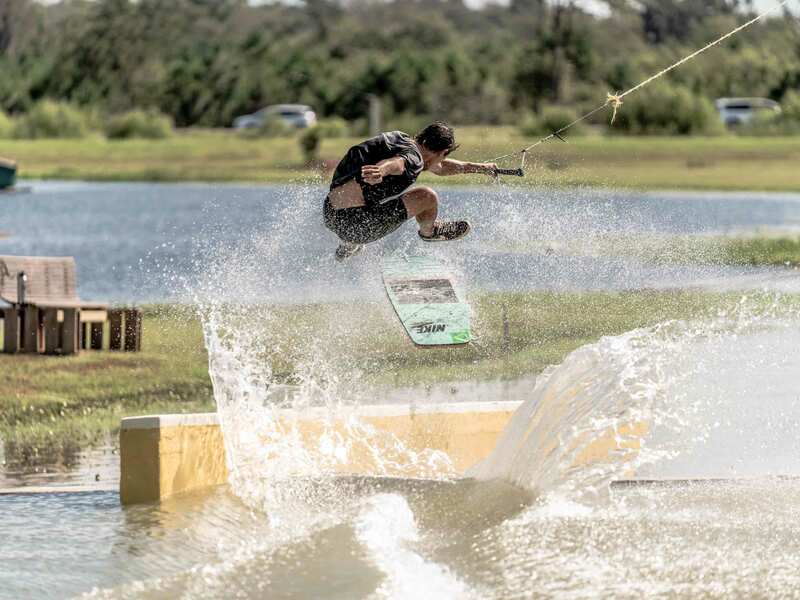 One of the best parts about The Wakeskate Tour format is the open qualifier. Every year there are six spots available for anyone to come and compete for a chance ride against some of the most established names in wakeskating. We’ve seen new faces come from every corner of the globe, show up and give the seasoned vets a run for their money. This year was no exception with the debut of young Telma Cester, from Spain. The level of riding in the women’s division has been on the rise as of late, with Zuzana Vrablova leading the charge, bringing new tricks to every stop, like the backside bigspins she was putting down all weekend. Any other year, that would have been more than enough to secure the win, but Telma Cester put together line after line, including many tricks never seen in a women’s event, to ultimately come away with the win in one of the most competitive finals in Wakeskate Tour history. The men’s division was equally as competitive, with every heat stacked, and no sign of the progression slowing down. Lines that would have won a couple years ago won’t even get you through the quarter final rounds anymore, and the trick of the year for 2018 happened again (a 360 flip to frontside lipslide if you didn’t know), in the first heat, before 10 AM because Travis Doran is an animal. The format for this year was a bit different as well. Rather than take the top two riders from each heat to move on to the next round, the twelve best lines from quarter-finals would move on to the semi-final rounds. This helped to elevate the level of competition because the riders were no longer competing against the riders in their heat, but would instead be up against the entire field. After an onslaught of utter insanity from some of the most talented wakeskaters in the world, those 12 were eventually narrowed down to six for the final round. In the end it was Nick Taylor who was able to put together one of the best performances of his career, with rounded lines and calculated hammers, to edge out Andrew Pastura and Andrew Fortenberry. The future is bright for wakeskating, and while we may not have seen as many events in 2018 in the U.S., the international scene has been absolutely exploding and The Wakeskate Tour is going to continue to push to put on new and innovative events for riders from around the world to enjoy. There are still new guys coming up every year who are doing mind blowing things on a board, and if you haven’t seen enough new wakeskating content this year, I suggest giving these individuals a follow for a steady stream of quality content. Every sport goes through its ups and downs, and it’s clear that wakeskating is in a bit of a trough, but the media landscape is changing everyday, and people’s attention is held by things less interesting than wakeskating. With camera technology getting increasingly affordable, smaller in size, and easier to use, creating good content is becoming easier as well. 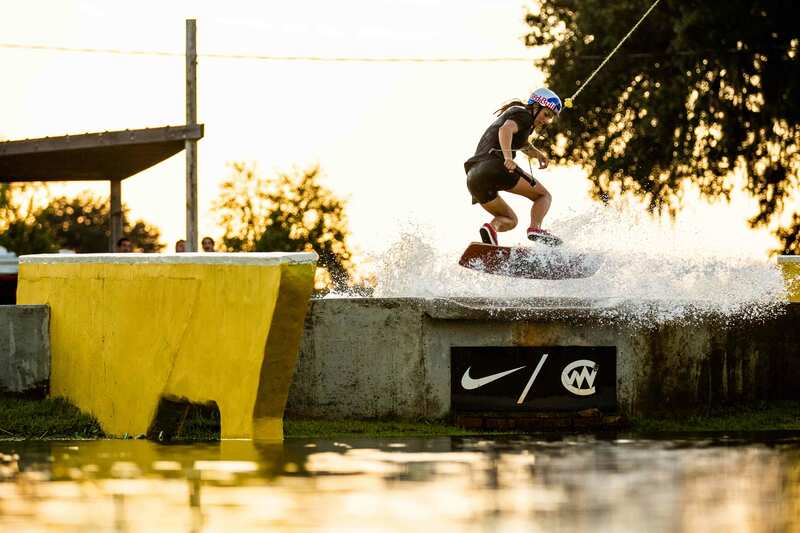 Its only a matter of time before new companies are looking to wakeskating for a chance to help them connect with new audiences. The core group of wakeskaters is growing, in more ways than one, and these events will always be a way for us to come together and share our passion for riding a piece of wood on the water. Whether it gets bigger or smaller, we’ll still be throwing family reunions in the woods, swinging from rope swings, and pushing the limits of what is possible on a wakeskate.